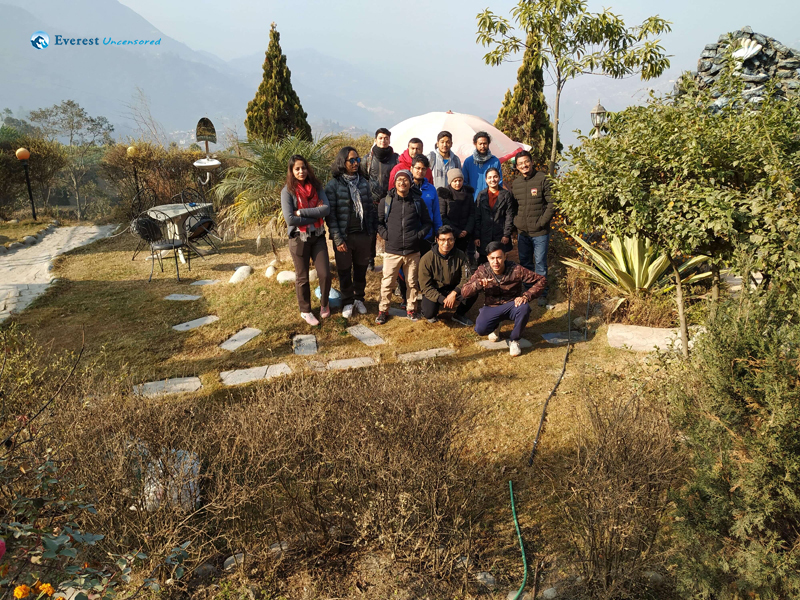 19th Jan was set to be the first day that the newly hired guys and girls, along with the established and experienced crew, were to be taken out for a hike. 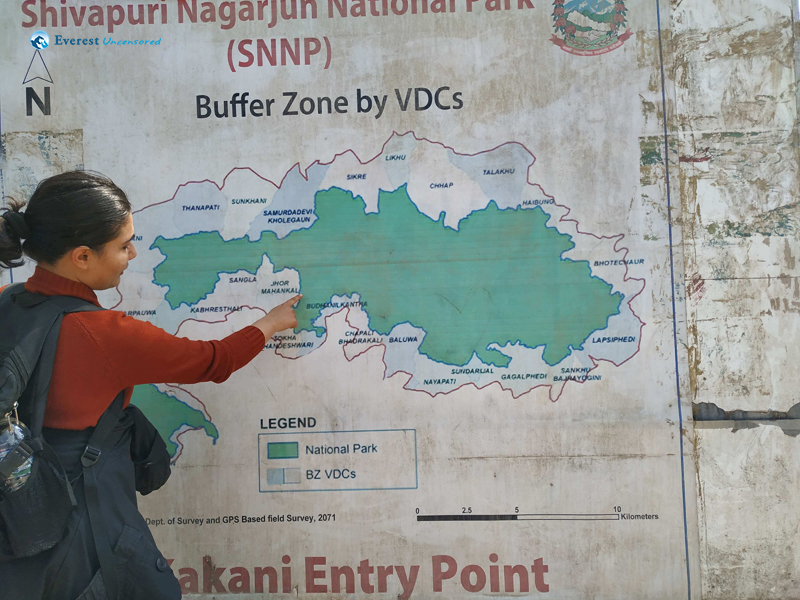 The hike was from Kakani to Jhor Mahankal with half of the trail included in the Shivapuri-Nagarjun national park. 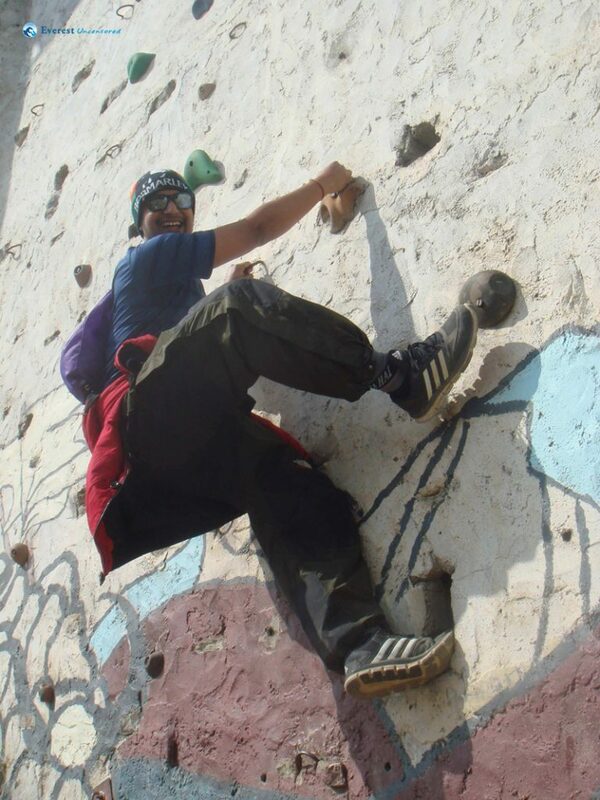 Although the route was not far from any of our homes, it was sure a memorable one. 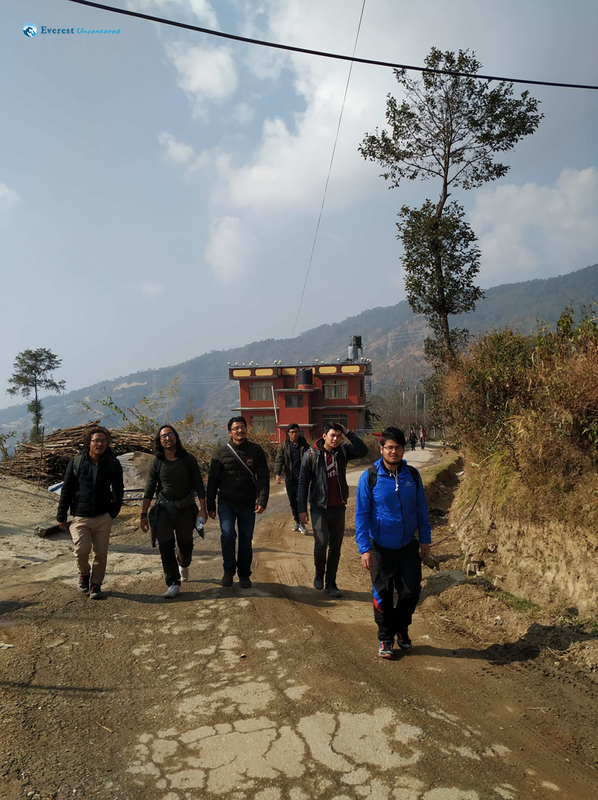 Our journey started from the office campus, gathering most of us there itself and travelling in our office’s micro-bus towards Kakani, Nuwakot. 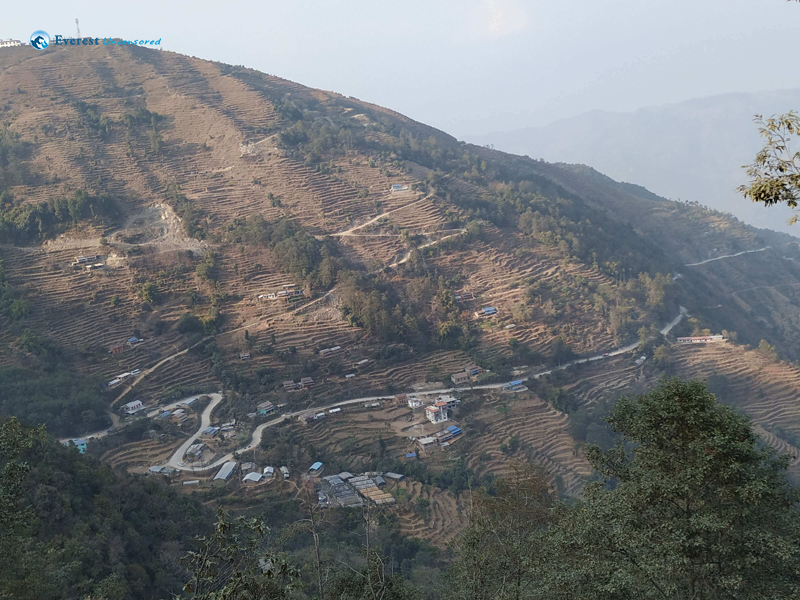 We took the Trishuli HW after exiting the Kathmandu Valley from Machhapokhari, Balaju. 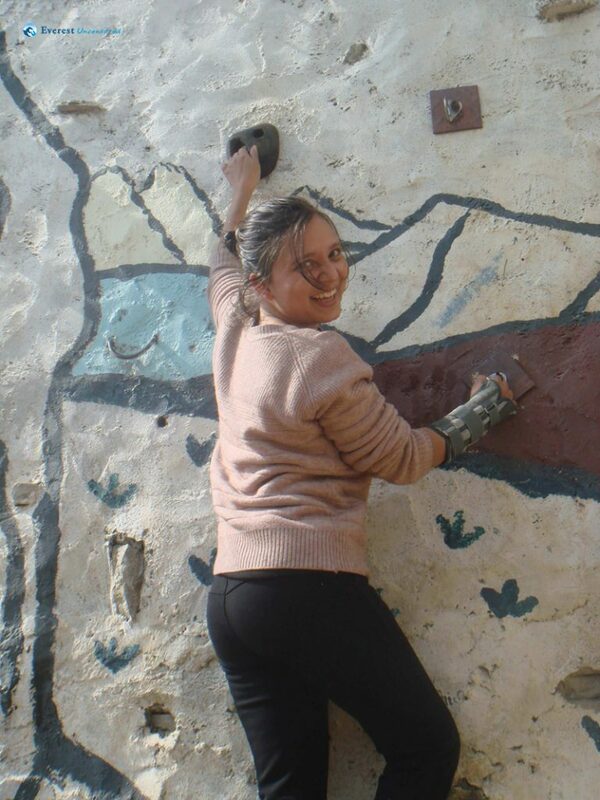 The road wanted to upset us with its muddy ways, but the only thing bothering us was the feeling of when we would reach Kakani and get to be on our feet. 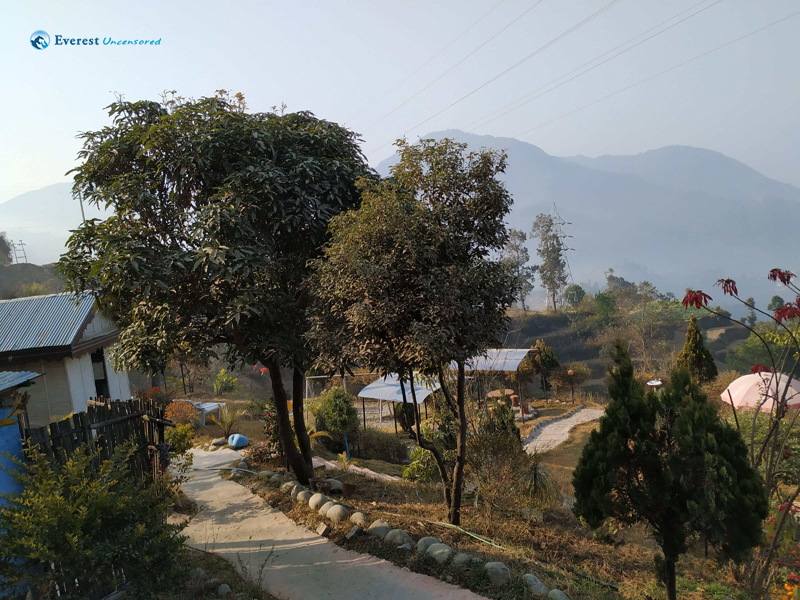 We stopped on our way at Chahari Hotel and Resort at Tarkeshwar to have our breakfast, where the price of the boiled eggs caught everyone of us by surprise. Slightly whining about our choice of dining, the only next thought that remained among us was Kakani. 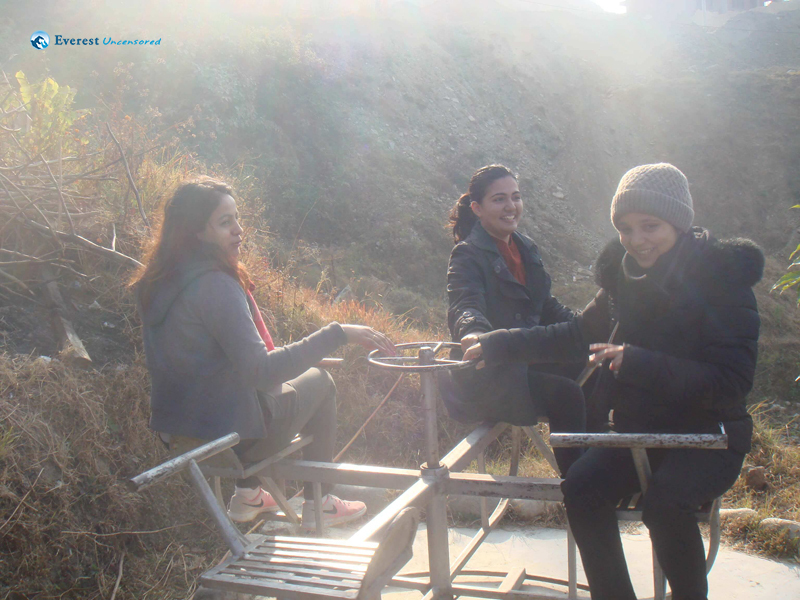 We stopped at the branch in the HW which would lead us to the all famous picnic spot at Kakani. From there our true hiking journey began. Everyone carried the prepacked and proportioned mineral water bottles, waiwai packets and butter biscuits and started off to Jhor. Surprisingly the moment we started walking, the road was better, as in well pitched, than when we were travelling in the vehicle. 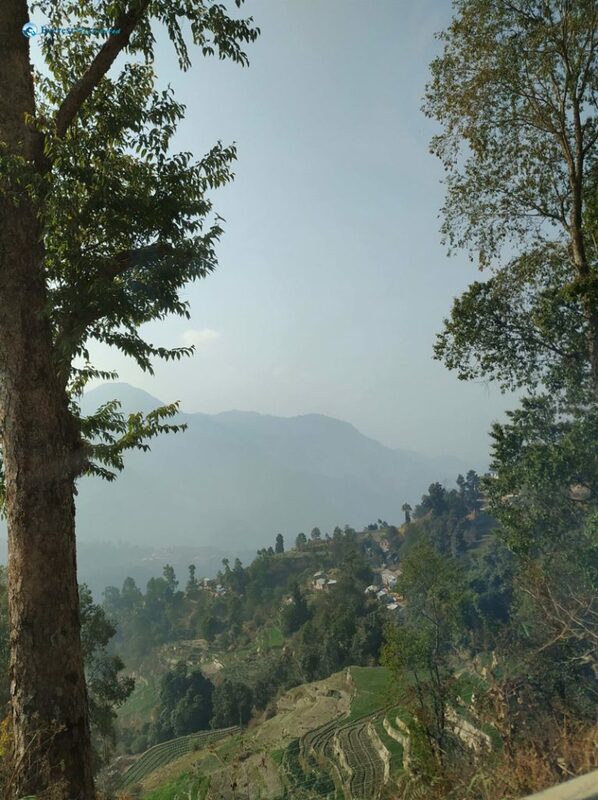 Relishing the fresh air, the silence, the strawberry fields, the getting to know a bit about the ones around ourselves and the isolation, we reached the picnic spot, where the noise and the frolic resumed, at around noon. We had started about an hour ago by the way. There was an abandoned stonewall as well, used for practicing rock climbing, at the picnic spot which everyone of us took time to climb. We understood we would not find any useful place where we could have a proper lunch around there so we munched on some of our waiwai stock, and the junk food we could buy there from vendors. Our already physically tired yet no less enthusiastic minds were lamenting and thinking why we had not travelled in our microbus till there itself when we saw buses and other vehicles parked around the picnic spot. 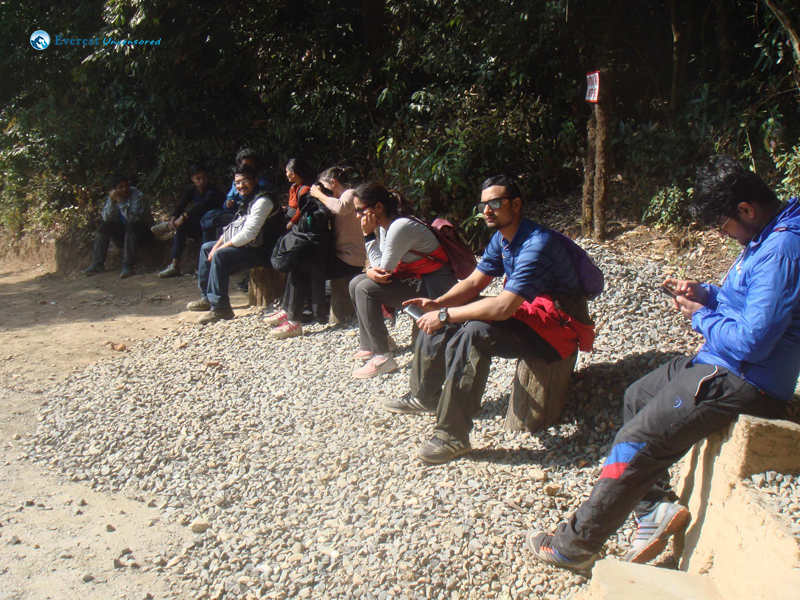 But Jhor on our same minds, and after resting for a while, we headed towards the entrance of the Shivapuri-Nagarjun NP. On our way we handed out the Deerwalk notebooks and pencils, we had brought with us, to the little school-going children we met. 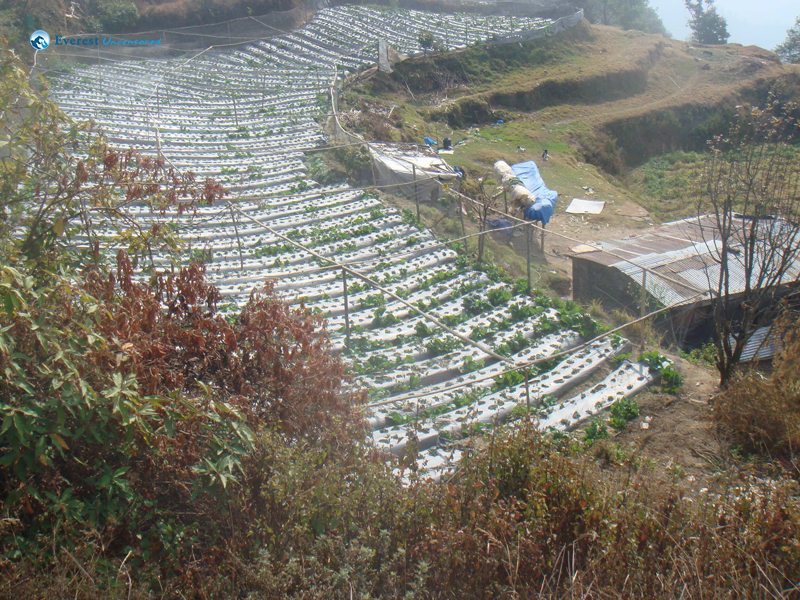 We also came across the Nepal Scouts camp which had recently held the 3rd national scouts jamboree. I, myself being in scouts back in school and also having participated a scouts jamboree, was remembering the good old days. 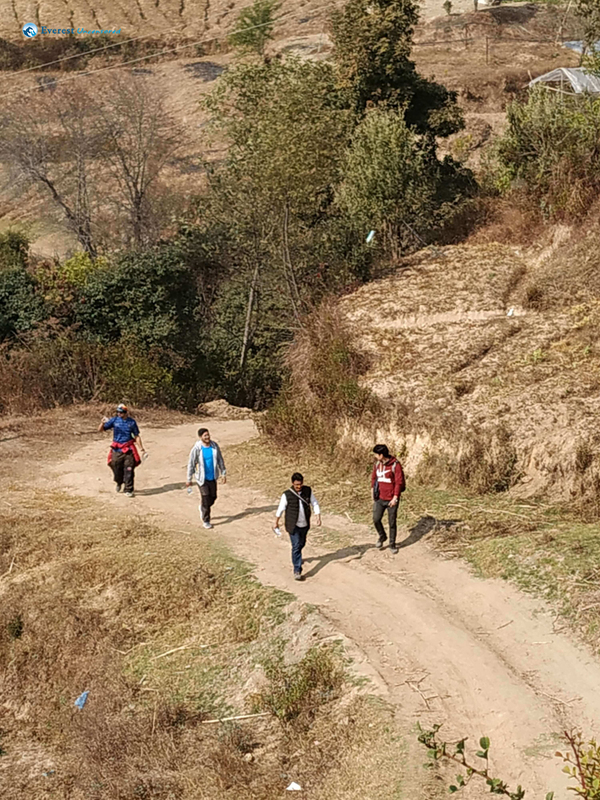 The moment we reached the Famous Mahendra dal Nepal Army Kakani Post, we were asked for our ticket passes for our entrance to the national park, but unfortunately we had none. When we had reached the ticket counter on our way, it was locked and none of bothered to think twice that somewhere ahead we would require the tickets to pass through. The army man stopped us and told us to go back and buy the tickets because there was no other choice. 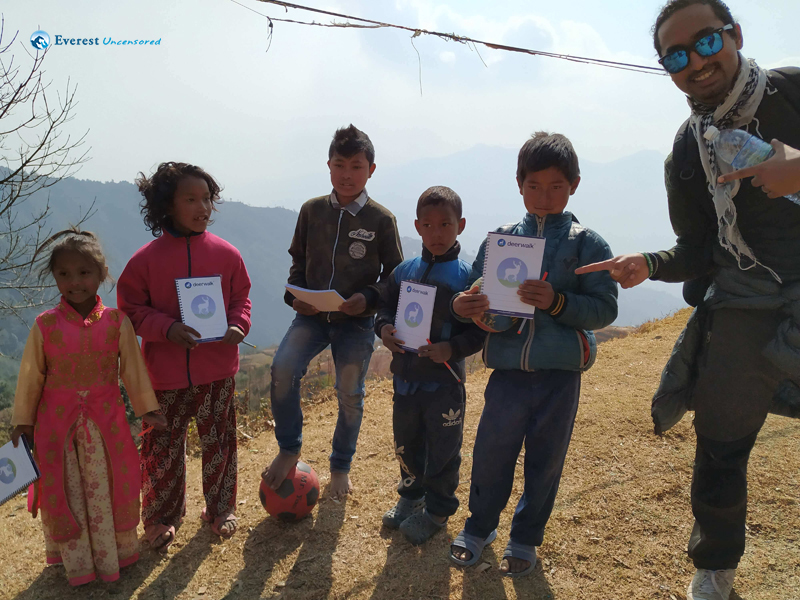 Sujal and Dipesh volunteered to go back and buy the tickets, which gave the rest of us some time to rest. When they returned after about twenty minutes, the army man frisked our bags and let us resume our hike. 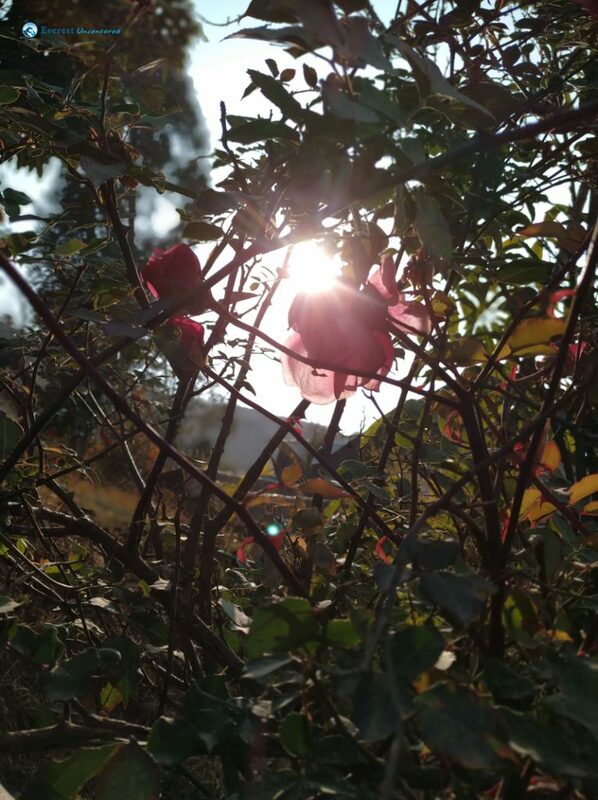 Slowly all the sweat evaporated and the coolness enveloped us inside the forest of Kakani. 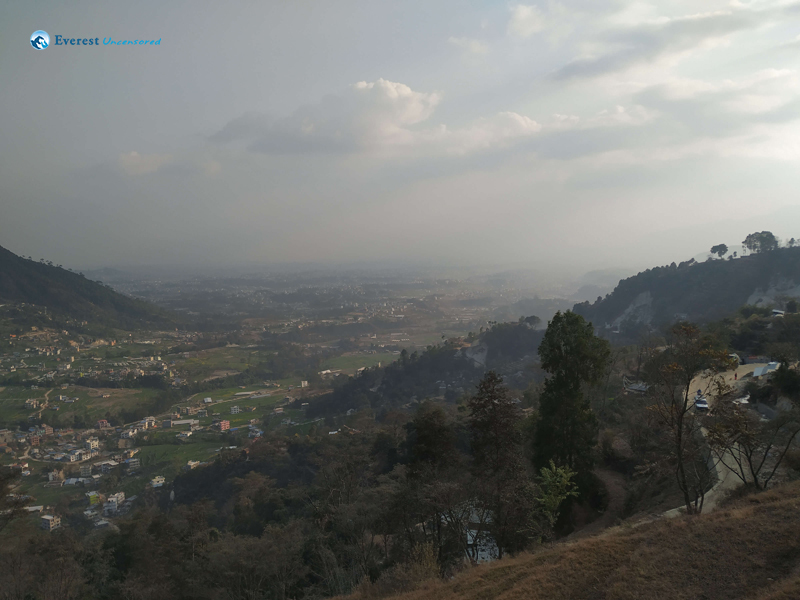 Our mid-way destination was Gurje Bhanjyang which was 7.5km from the check post. 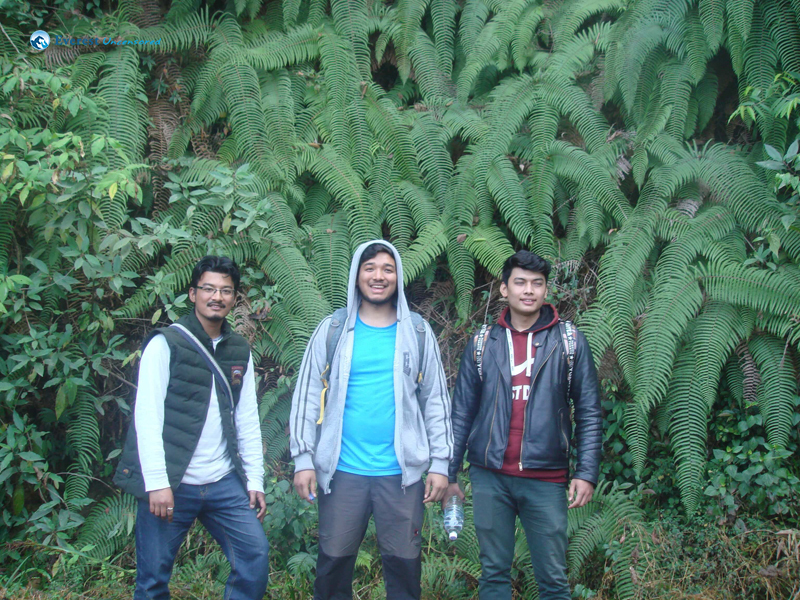 Walking in groups of our own pace, we started to cross the jungle, respecting the rules of the national park. Big fern leaves grown to their full extent were all around us as we looked towards Gurje Bhanjyang. 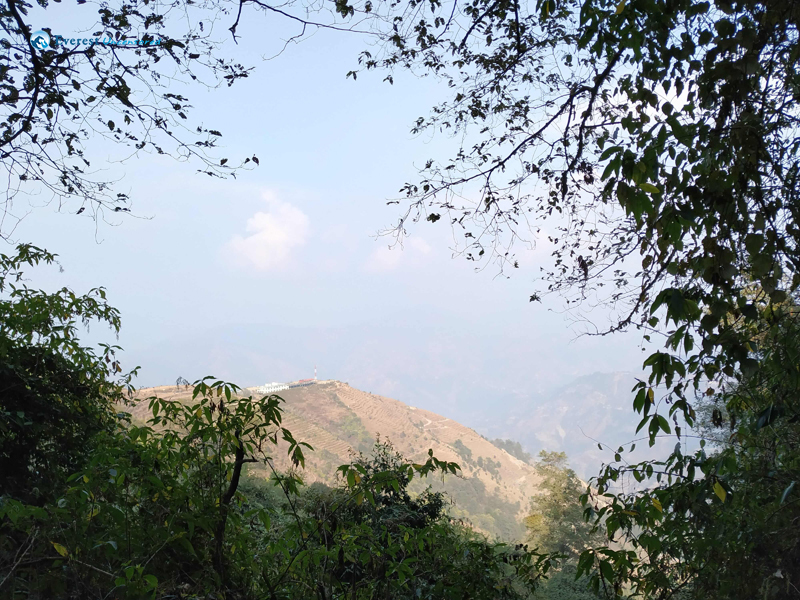 Gradually, we exited Nuwakot district, entered Kathmandu and reached Gurje Bhanjyang where the road branched towards Dadagaun(Shivapuri), Alle camp, Rasuwa and Jhor; we took our path towards Jhor. 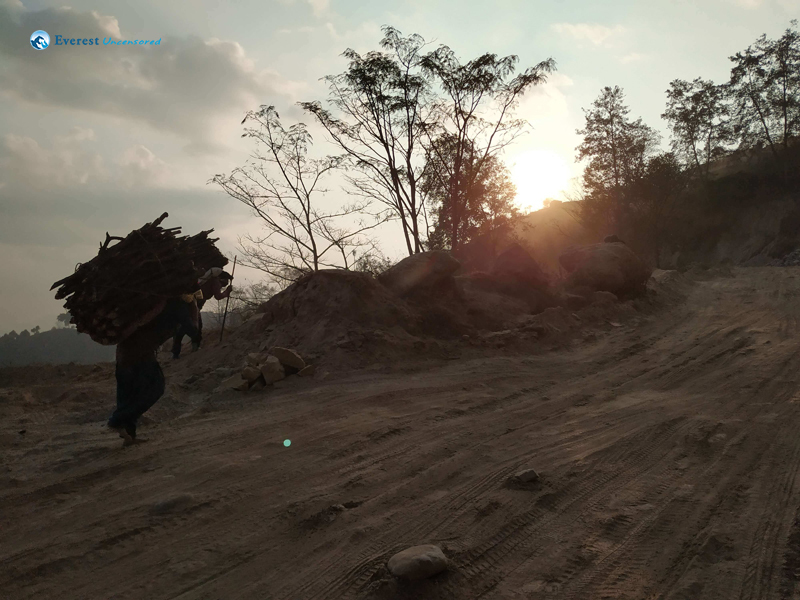 Although we were still walking and had 5.5 kms more to go, I personally felt our hiking ended there because the concrete road, the vehicles and the dust had started again. But whatever my thoughts, we were on our way to Jhor. We knew our micro-bus was waiting for us at the Jhor waterfall, and that was inspiring us to move our tired legs. From there it was all downhill which gave our knees a lot of exercise. Finally, we arrived at Jhor after crossing Okharpauwa, Kabhresthali and Sangla vdcs on our way. But our destination was the waterfall which was still a few more steps down on the stairway. We rested as we reached the waterfall, although the size of it had shrunk due to the season, visited the nearby temples, and finally met with our microbus again further down the road. 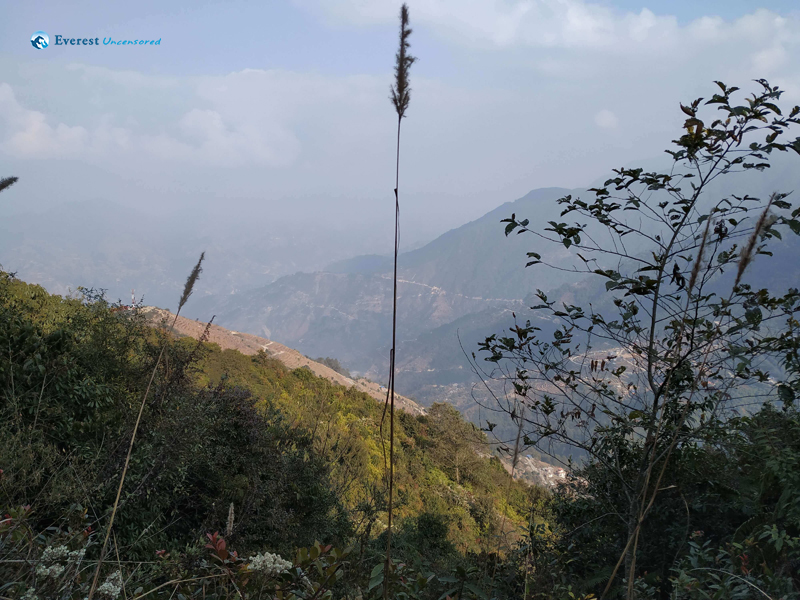 All of us got into the vehicle and relaxed on the Tokha road which was connected to Samakhusi chowk until we reached a bit ahead where we found a spot to have our overdue lunch. Everyone was starving when we stopped at Gambeshi Thakali Kitchen. After eating to our heart’s content, we headed towards Deerwalk, after dropping some of us on the way. And before I finally got off the micro-bus all that I was thinking was it was very nice that I signed up for the hike.